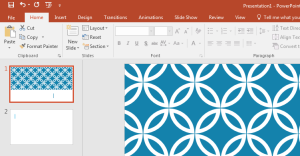 MS PowerPoint 2016 is the advanced presentation tool that comes as a part of MS Office 2016. It helps you to create amazing slides with dynamic content including animations, images, videos etc. It has additional features to the previous versions and gives you advanced options like the Backstage view, Quick Access Toolbar etc. Once you start the application, Start Screen appears with Recent file names. 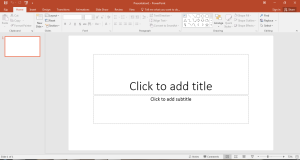 It also contains the templates that you can follow to create your presentation. 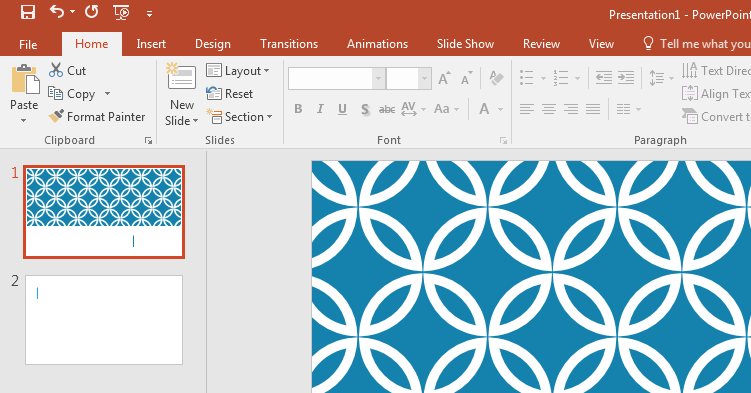 You can also search for more templates online and then you can choose and download the templates. 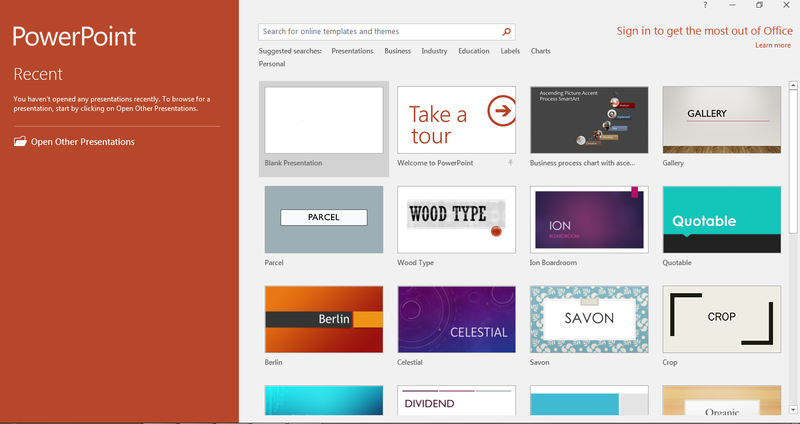 You can also browse to open other presentations. Ribbon: There is a tabbed Ribbon present on the top with multiple tabs. These tabs contain different groups of commands related to the group that they belong to. For every group, there is a small arrow present at the bottom right corner of the tab. 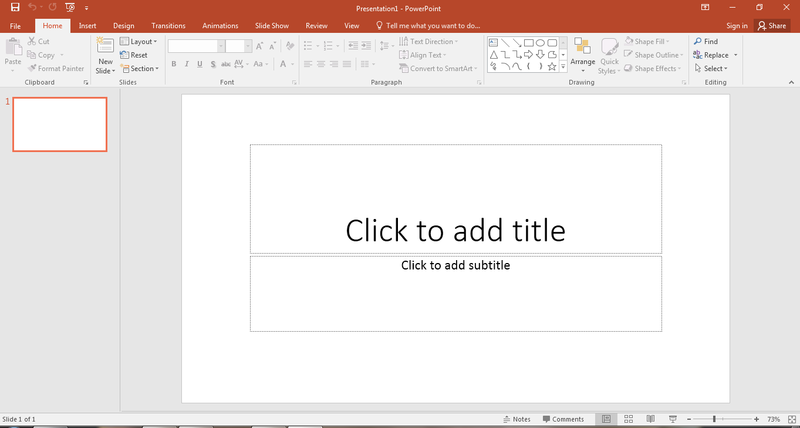 When we click on this arrow, you will get more options to use for your presentation. For the Ribbon, you will get options to hide or show the ribbon, tabs etc. On the top-right corner, you will get Display options for Ribbon. Auto-hide Ribbon: It will hide the Ribbon completely and help you to work in full-screen mode. To return to the Ribbon, click on Expand Ribbon option on top of the screen. Show Tabs: This will keep the tab options visible but it will hide the command groups. You can go to the tab to see the Ribbon. Show Tabs and Commands: It will maximize the Ribbon and all tabs will be visible. This is the default option.